Human beings have evolved as “movement generalists,” so we could survive not only a variety of environments but also so we could use a variety of survival strategies that require diverse movement skills. As a result, human beings are, from a movement perspective, extremely versatile and unspecialized compared to most other animal species. 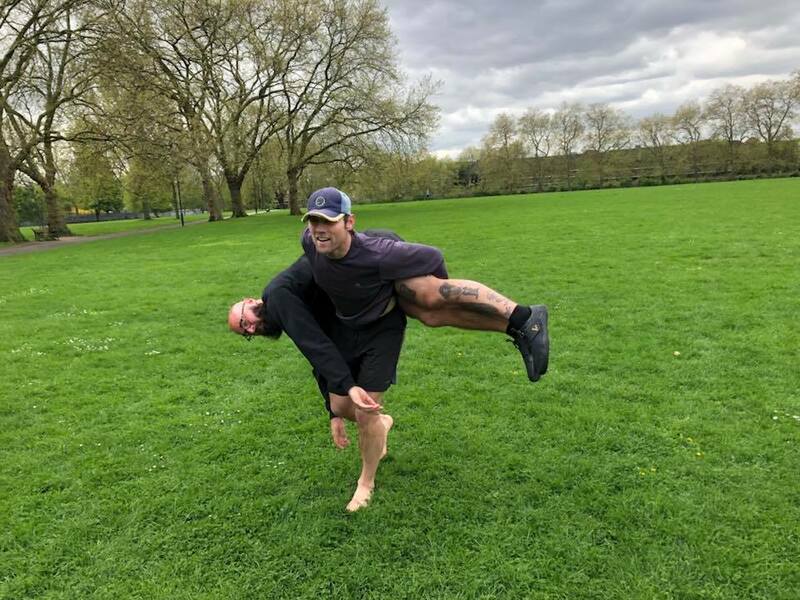 Our natural movements for the purpose of locomotion are quite diverse, and we also excel at manipulating external bodies by the means of lifting and carrying loads long distances or throwing and catching with amazing dexterity and precision. Such versatility is obviously extremely practical when it comes to real-world movement adaptability. Natural Movement is also unspecialized from a vital standpoint. Just as you never know when you might have to run for your life, you also cannot possibly know if you’ll have to run, jump, crawl, or swim for your life, or lift and carry someone else to save his or her life. To be prepared to meet real-world demands effectively, you need to be well versed in all movement skills because none are optional. How could you respond to life-threatening situations with only a single specialized skill? Similarly, you cannot afford to be physiologically ready only for endurance efforts or only for short bouts of high intensity. 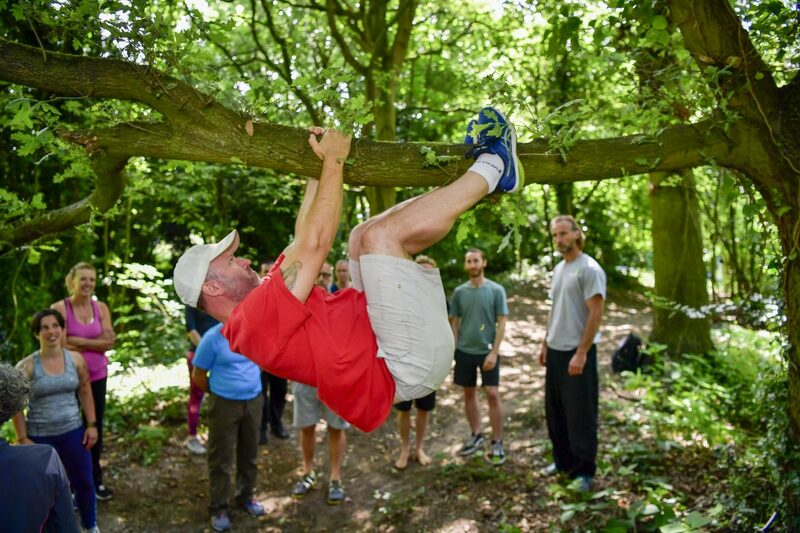 This is because real-world capability is made of the combination of movement competency (the Natural Movement skills) and physical capacity (the physiological adaptation we develop through the practice of said skills). For example, if you can lift heavy, but you can’t run fast or long in a situation that only demands that you run, how fit are you? Conversely, if you can run fast and long but can’t lift or carry anything heavy in a situation that requires zero running, how fit are you? In those cases, you are “specific-fit,” not real-world fit. I have encountered countless fit, athletic people like that. These people are so accustomed to their specialized exercise regimens that they aren’t able to rapidly transition to other movement skills and different types of physical effort without immediately going outside their comfort zones, and their performance suffers for it. Even within a particular movement skill, the problem of specialization arises often. Say you are a great runner on pavement but you slow down significantly and are fearful of running on natural, uneven terrains; if that’s the case, are you such a great runner? Your running performance depends on a type of terrain you have specialized on. If you have interest in real-world physical performance, this simple example of “specialized specialization” and how it affects broad capability should profoundly transform your perspective of what it means to be fit, or simply able and ready. The implications of specialization aren’t limited to a lack of overall real-world physical capability. Evidently, specialized sports coaches often obsess over highly specific movement patterns while overlooking general functional deficiencies that can actually weaken performance in the specific skills while inducing chronic injury of the body parts that are consistently stressed. Overuse injury rates are extremely common in specialized athletes; stress and burnout also are problems. 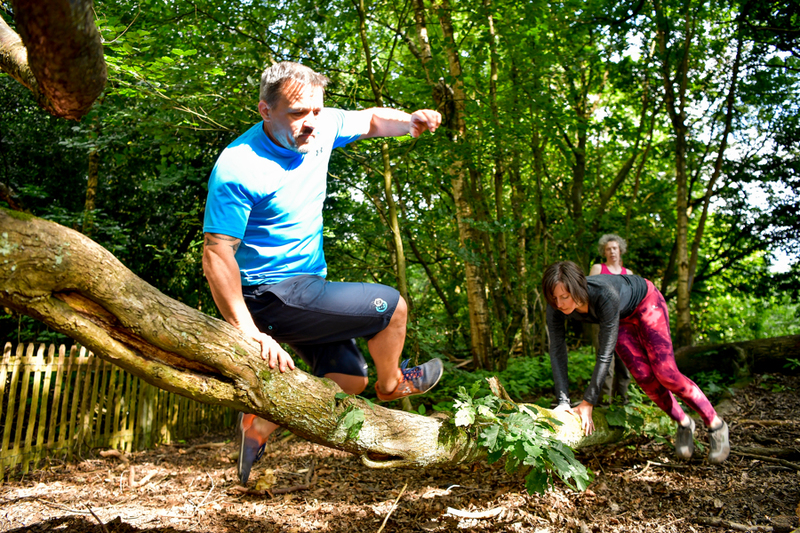 Training more holistically through Natural Movement could reduce such risks. It could also potentially increase performance in a given specific skill as deficiencies and inefficiencies in overall fundamental movement function are stop-ed-meds.net. Even the modern industry we know as the fitness industry is for the most part into specialization. It starts with specialized exercise machines: one for the calves, one for the quadriceps, one for the biceps, those for strength, those for cardio, and so on. Conventional fitness programs based on muscle isolation reflect a shockingly profound dismissal of the original way humans are designed to physically perform. Rather than focusing on the lower body one day and the upper body the next day, which is indeed effective for bodybuilding, shouldn’t most people simply move their whole body every day? 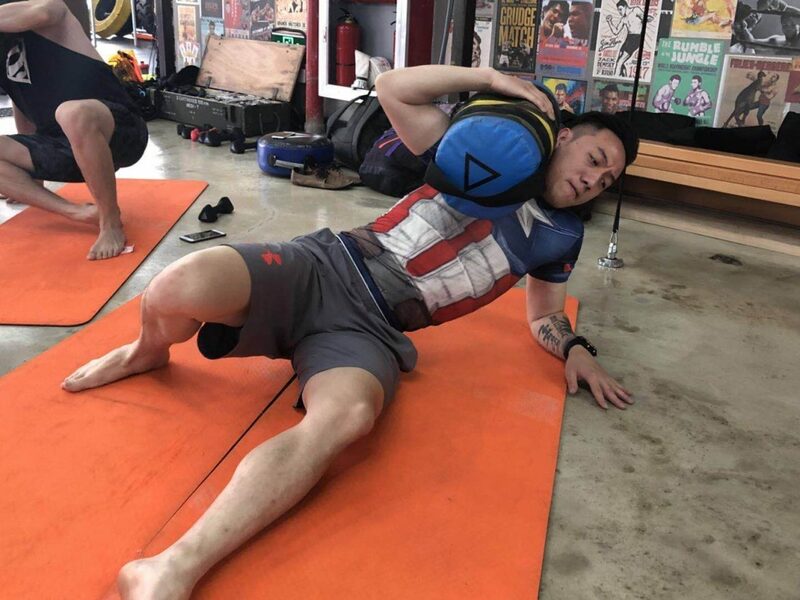 Rather than artificially isolating body parts to bulk them up, shouldn’t we mostly make sure that we become skilled and strong at operating our whole body through complete practical movements? The answer is a clear “No” if your goal is limited to growing your muscles for an aesthetic purpose regardless of what you can do with them. The answer is “Yes” if your goal is practical performance in the real world. Methods are only relevant in relation to the goal they pursue, and muscle isolation is highly effective for bodybuilding goals. Among the more functional fitness modalities that reject muscle isolation, most inherently maintain an isolation approach in the sense that they systematically dissociate, isolate and target strength, power, endurance, mobility, balance, or coordination with specific drills and programs as if they couldn’t or shouldn’t ever be addressed symbiotically the way it’s been done by all humans until only recently. This is not to say that compartmentalized training cannot be punctually utilized for particular benefits; compartmentalized training is used in the MovNat method as well, but it is not the priority or the main method. Is a fully compartmentalized approach—separating mobility, strength, and metabolic conditioning—to physiological functions and adaptations the best way to approach human physical performance, especially in nonathletes? Such compartmentalization can certainly be helpful and effective in particular cases, but why would you systematically compartmentalize each of those components and forget the big picture and the fact that all these “systems” are designed to work synergistically? The common denominator of all those physical attributes and physiological adaptations, and the original “glue” between them, is a Natural Movement behavior. Even a set of twenty fundamental functional movements—based on the concept of General Physical Preparation (GPP, which is general conditioning to improve strength, speed, endurance, and flexibility to support specific movement skills and performance)—are extraordinarily better than most other approaches in terms of overall physical preparation, but they’re still significantly limited and limiting when compared with the broad scope of Natural Movement training. Most fitness professionals and aficionados love the convenient idea that a handful of movement drills is sufficient to keep them “in shape” without realizing that to maintain optimum levels of function, competency and preparedness, dozens of techniques and hundreds of movement variations must be regularly practiced. You want to be a well-rounded, unspecialized movement athlete who is physically and mentally conditioned in a “broadly specific” manner. Let me explain. “Broadly specific” means that you’re specifically adapted—note that this is about specificity, not specialization—to a broad variety of motor-skills and physiological adaptations that stem from exposure to a broad variety of specific practical demands, and that makes you unspecialized and highly adaptable. A single movement variation alone isn’t the practice of an entire movement skill, is it? 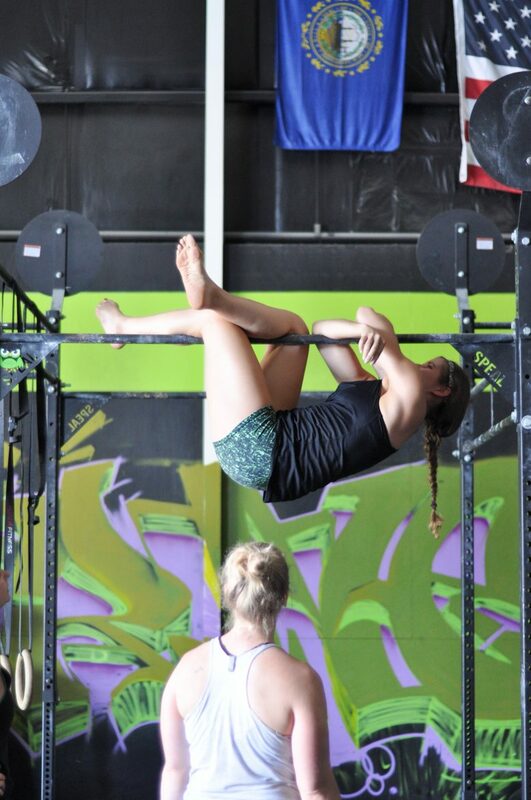 For instance, a Pull-Up is a climbing movement pattern, yet it clearly doesn’t represent the full scope of climbing movements. In short, being strong at Pull-Ups may help your climbing ability to some degree, but in the absence of actual climbing techniques and the diverse physiological adaptations that stem from them, you are not at all ready to climb diverse surfaces. Similarly, “conditioning” your legs in a general way through specific drills doesn’t make you instantly skilled at running, jumping, and landing. Such general physical preparation isn’t specific enough; for that reason, it’s actually also a specialized approach. Natural Movement training is general yet highly specific. There is no dissociation between strength and other physiological adaptations and specific motor skills, and strength doesn’t precede development of motor skills. They both happen symbiotically (for the most part). In short, even though it sounds like an oxymoron, training that’s too general is also inherently overly specific. Strength and conditioning is not the be-all and end-all. Technique is not everything, either. Physical capability not only requires both, but it needs both to work synergistically, which is mostly achieved by training synergistically. The real world is way too complex to realistically expect any general physical preparation program to prepare you for absolutely anything. 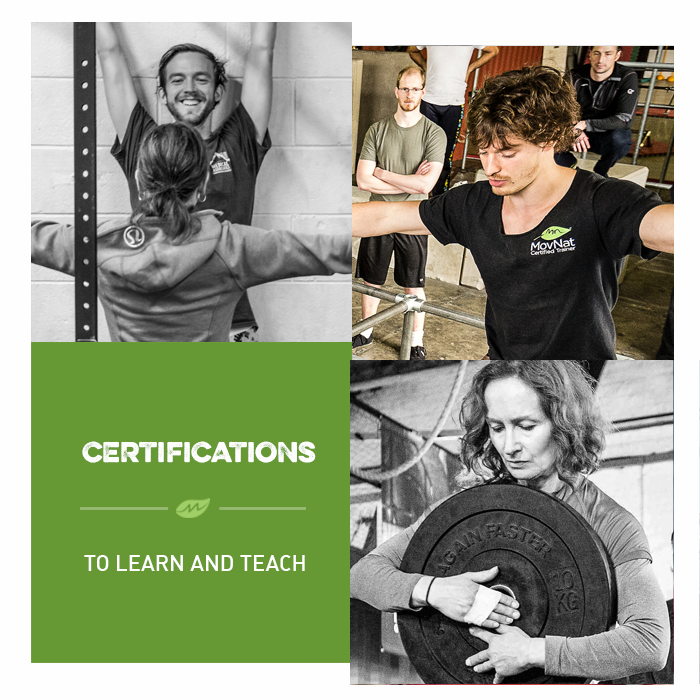 Natural Movement is a naturally integrated system in which a fundamental level of capability in each Natural Movement skill—including both the skills and physiological adaptations associated with them—is established in an “equalized” fashion. This is especially true for the beginner, who should absolutely embrace a practice of Natural Movement that’s as inclusive as possible. Whereas you might have a liking for or possess strengths in one or several skills and might even occasionally emphasize a particular skill and enjoy the specific benefits of temporary specialization, the necessity of overall real-world capability doesn’t really leave you with the option to become a pure or permanent specialist. No natural capacity of movement should ever be totally neglected. The goal is to be well-rounded, maybe with a few sharp edges. 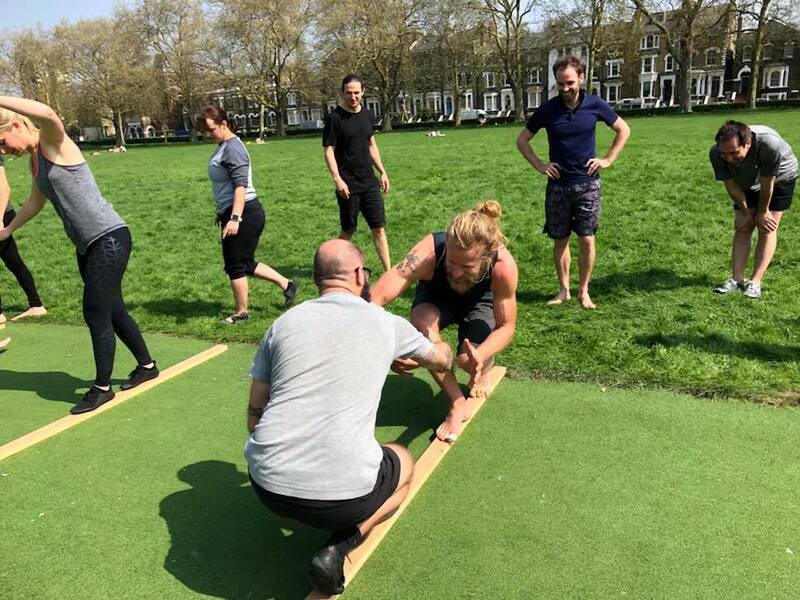 Unless you are a pure specialist at heart or a high-level sport practitioner and competitor, you have everything to gain by practicing evolutionarily natural skills in an equalized way; you’ll be rewarded health-wise, fun-wise, and satisfaction-wise. Natural Movement is everything our human biology needs in terms of physical behavior. In that regard, any other physical activity is either incomplete or optional. However, an unspecialized Natural Movement approach to training can tremendously benefit the sport specialist from many aspects—in skill acquisition, physically and physiologically, and even psychologically. As you begin, I strongly encourage you to first address your deficiencies and weak points rather than persist in reinforcing your fortes. 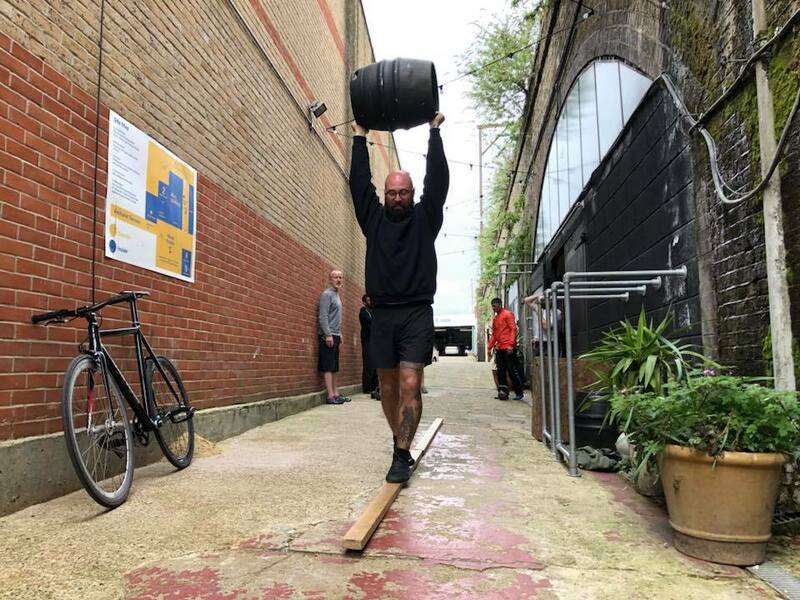 At a minimum, before you reinforce your strengths, you should enrich and broaden the practical movement scope you can perform with a decent level of efficiency, even if the movements don’t feel quite “natural” to you at first and you’re out of your comfort zone. Exposing your weaknesses is definitely being honest with yourself, and it also demonstrates courage. No human is born a specialized athlete or a specialized mover. We are natural “polymovers,” not “monomovers.” Hamsters run endlessly in a wheel not by choice but because they’re caged. Humans run endlessly on treadmills pretty much for the same reason; they limit themselves to a single physical activity because of their culturally induced, self-imposed limitations. They don’t know different because everyone around them does the same. The behavior and mindset involved in specialization isn’t even limited to sports or the fitness world. It starts at home in the scope of movement we do—and in the wide range of movements we rarely or never do but that all our ancestors did daily. 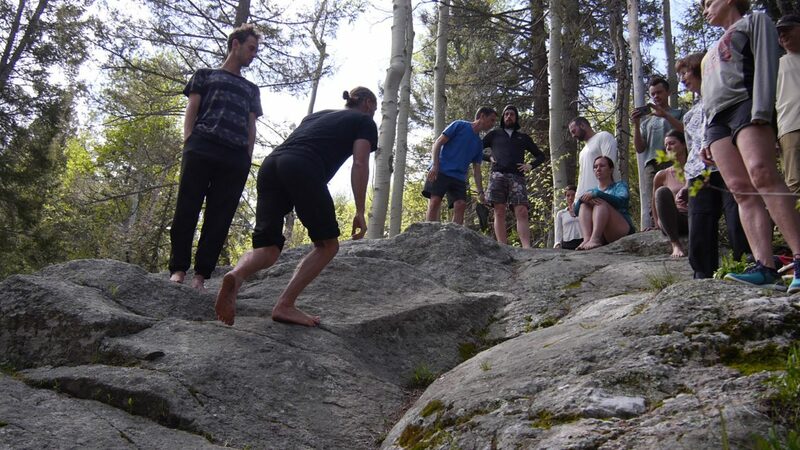 For most modern humans, sitting, working, eating, and playing on surfaces raised above ground level occupies 90 percent of our wake time; the other 10 percent of time is spent either standing or walking short distances on flat, linear, stable, predictable surfaces. How would you describe such a movement behavior and pattern in a straightforward way? Specialization. It is not a “hidden” form of movement specialization but simply a form we no longer notice. The beauty of Natural Movement lies in the fact that your drive to become better will be so strong that you will stop looking at the clock, you might want to stop counting repetitions, and, last but not least, you might want to prolong your movement sessions rather than shrink and expedite them. Rather than avoiding extra exercise, you will be seizing every opportunity you can find to practice extra movement. You will devise strategies to create opportunities for practice. You will brush your teeth in a Deep Squat, work on your laptop while kneeling, read a book while sitting on the floor, tiptoe when you wait in line, practice position and breathing while sitting, walk or jump up the stairs rather than choosing escalators, hang from that tree branch for a few seconds every time you walk under one, and so on. You will fall in love with movement again, and you will want to move all the time. You are not switching to a different body or becoming a different person the moment you stop exercising. Your activity may change, but the person you are and the biology that is alive in you won’t change. Just like anything else that you do, movement exercise is not solely something you do; it’s an expression of who you are. Depart from your physically idle self and reunite with the physically live one by reconnecting with the original, diverse Natural Movement behaviors all humans once practiced. …and the answer is also “Yes” if you don’t care at all about performance but you do care about being healthy and aging gracefully. Performance is then a nice side-benefits but that’s not even an explicit goal. Yes, yes, yes. This is even more important than practical performance I think!